Valid for set departures between 12 APR 2019 - 11 OCT 2019. Enter The Vatican Museums before the crowds, journey through striking Tuscan landscapes and cruise along the canals of Venice, see its famous Bridge of Sighs and St. Mark's Square. 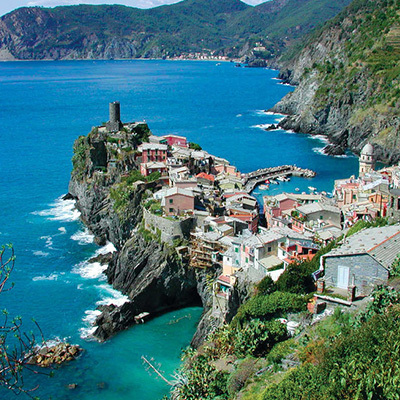 You'll also encounter the Renaissance highlights of Florence and Leaning Tower of Pisa. 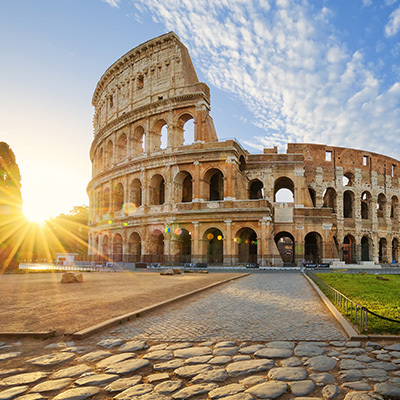 Indulge all your senses in the imperial city of Rome, your introduction to a memorable encounter with Italy which will have you returning for more. Spend your afternoon relaxing after your journey, or explore the ancient city streets before joining your Travel Director and travel companions for a Welcome Reception. This evening, we whet our appetites with an orientation drive past Rome's most magnificent sights which we will have an opportunity to explore tomorrow. Our encounter with Rome begins in the Holy See as we visit the Vatican Museums in the company of a Local Specialist to admire the masterpieces that have been collected by Popes throughout the centuries. Gaining priority early access, we admire the magnificent frescoed ceiling in the Sistine Chapel when it is less crowded and visit St. Peter's Basilica, the greatest church in Christendom, to see Michelangelo's sorrowful Pietà. Crossing the Tiber, we venture into Ancient Rome to visit the imposing Colosseum and Circus Maximus, once the site of tremendous chariot races which entertained hundreds and thousands of exhilarated spectators. Spend the afternoon exploring Rome on your terms, sitting on the Spanish Steps, or tossing a coin in the Trevi Fountain to secure your speedy return to Rome. This morning, we venture through the picturesque valley of the Tiber north into the green and golden landscapes of Umbria. We pass the picturesque hilltop towns of Orte and Orvieto, travelling through Tuscany's terraced olive groves and the Appenine Mountains before arriving in Venice, the Queen of the Adriatic. Venice and all its centuries-old charm welcomes us today as we cruise by private launch to the city's most prominent sights, including views of the Bridge of Sighs, St. Mark's Square, St. Mark's Basilica and the ornate Doge's Palace. We gain a Cultural Insight into the intricate craft of glassblowing and soak up the pageantry and elegance of Venice before embarking for Verona, home of Shakespeare's ill-fated Romeo and Juliet, where we'll spend the night. We join a Local Specialist today to delve into the rich medieval and Renaissance history of Florence, visiting the imposing Piazza della Signoria with its impressive sculptures and imposing palazzi. Wandering through the narrow streets, we encounter the multi-coloured marble Duomo and famous Baptistery. 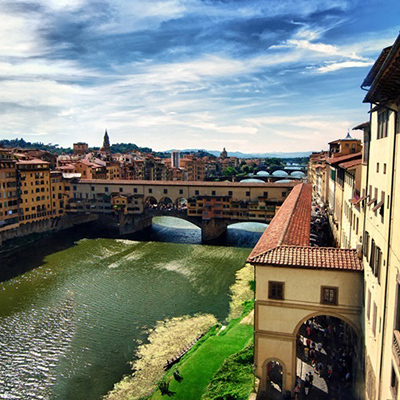 We have an opportunity to view the 400-year-old Ponte Vecchio, a spectacular feat of engineering dating from the Middle Ages and today lined with jewellers, art dealers and souvenir shops, before travelling through Umbria to the valley of the Tiber River and back to Rome. Our journey together comes to an end in the Eternal City. Enjoy a memorable holiday with newfound friends at a Farewell Dinner.